The FERS BlueprintTM Retirement Planning System is not affiliated with, endorsed or sponsored by the Federal Government or any US Government agency. The FERS BlueprintTM is informational only. No specific financial, retirement nor tax advice is being offered. The material presented is as current as possible but is necessarily generalized. Facts and opinions are based on research and experience but are not endorsed by the Federal Government. It is recommended to consult with your personnel office and/or the Office of Personnel Management (OPM) Retirement Office, Thrift Savings Plan, Social Security, Medicare, Internal Revenue Service, your legal, tax and/or other advisor(s) for complete information and all requirements. The Monroe Team, Inc. shall not be liable for any direct, indirect, consequential, or incidental damages (including, but not limited to, damages for lost profits or lost opportunity, loss of business or personal profits, business or personal interruption, loss of business or personal information, special, or punitive damages whatsoever) arising from the use of (or inability to use) any course lessons, videos, materials or other information furnished as a part of the course. 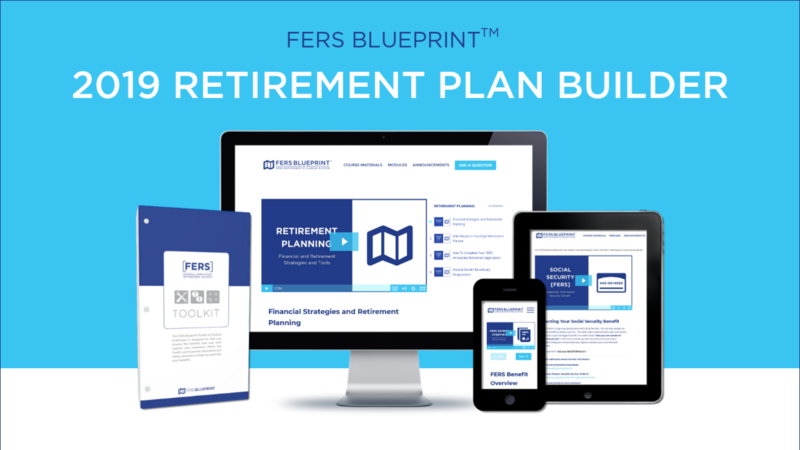 The FERS BlueprintTM One Page Retirement Planner worksheet is provided for informational purposes only. It is not intended to provide retirement income advice, nor to be used as an investment advisory tool, nor as a guarantee of monthly payment amounts, nor as a guarantee of a final account balance nor as a guarantee of the duration of the elected monthly payment amount. Online course access for 1 year (365 days) from purchase date of the course. Secure your spot in the 2019 Retirement Plan Builder! Private member forum to get answers to your retirement questions. Don't miss out on this amazing resource that walks you through each FERS benefit and how to plan your own retirement.